So, I used the bootleg installer about a week ago on my laptop, and the game was working perfectly fine. The game would open up, every mod was working. I played for a few days, had a save file going and everything. Then, since yesterday, for some reason the game won't launch anymore. It looks like the game tries to start up, I see the cmd prompt open, the screen turns black, then after about a second it goes straight back to the desktop. At first it wasn't doing this, but then I saw something about the OpenGL problem, and check the app.log because of an indirect path. Well, I've tried updating my graphics card drivers, my laptop says it has both intel(r) hd graphics, and nvidia. I did the nvidia, not sure how to do the intel one tbh. but that didn't make any difference. So, I tried just rerunning the bootleg installer, and that also didn't make any difference. It just went back to how it started, where it looks like the game tries to launch, then just goes back to the desktop. INFO: FFMpeg version SVN-r25886, Copyright (c) 2000-2010 Fabrice Bellard, et al. IDK what the issue is, because it was working perfectly fine for a few days. Any help would be amazing! Run FF7Config and re-set your sound options. I had the same problem. When I had installed FF7, I had a USB headset connected and chose that as the primary sound device. After unplugging the headset and restarting FF7, FF7 wouldn't start. Just like what Aali said, you have to reconfigure your sound device. 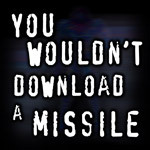 Run the EXE as Administrator though, if you are running FF7 under Windows 7, or else the settings will not be saved. So basically I have to reconfigure the sound everytime I want to switch from headphones to speakers, or if happen to change the USB slot of the headset. I'm pretty sure there's a registry entry you can set to "0" to make it just use the default sound device. I'm not positive what entry it is, though. If you're comfortable digging through the registry, you can probably find it. Yep, that seems to have done the trick! Somehow the sound got changed to nothing rather than any of my devices. Changed it back and looks like it's working like normal again. Would the registry entry to set sound to the default device be one of these? If you set it to a device and then unplug the device (such as a USB headset), it'll show nothing because it's looking for a device ID that isn't there. Yeah, I'm pretty sure that is. I couldn't check it myself since I'm not at home right now. I think setting that registry entry to 0 for your installer is a great idea PitBrat, I can recall the same thing happening to me a few times (although that's because I switch between my HDTV and my laptop a lot). hello, i've been having the same problem as the guy who posted this. i can't get past initializing the sound. the sound driver is selected but still it shows a black screen and returns to windows. i tried editing the registry. however, i'm confused. how do you change the type of a registry value from binary to dword? what i did was erase the original binary sound_GUID and creating a new dword_guid with the same values as quoted. when i try to launch the ff7.exe, the registry value reverts back to being a binary and the value changes as well.